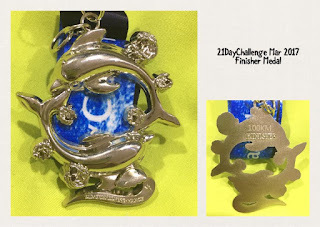 Since the start of 2017, I have decided to participate in the 42Race's monthly 21 Day Challenge. Basically, it is about clocking mileage from the 1st to 21st of the month. 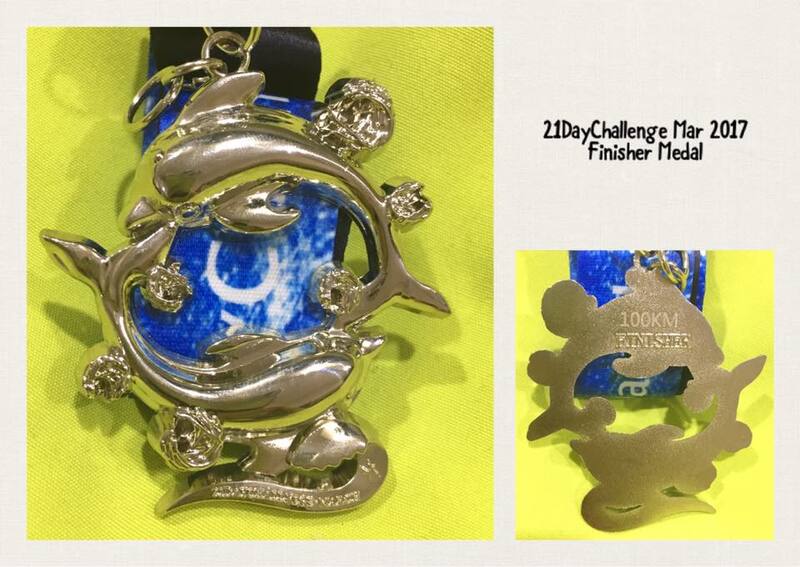 We will receive medal if we achieve certain distances, like 20KM, 50KM, 100KM and 200KM. I have completed the challenge for the month of Jan and Feb. This month it was a bit of an "achievement unlocked". 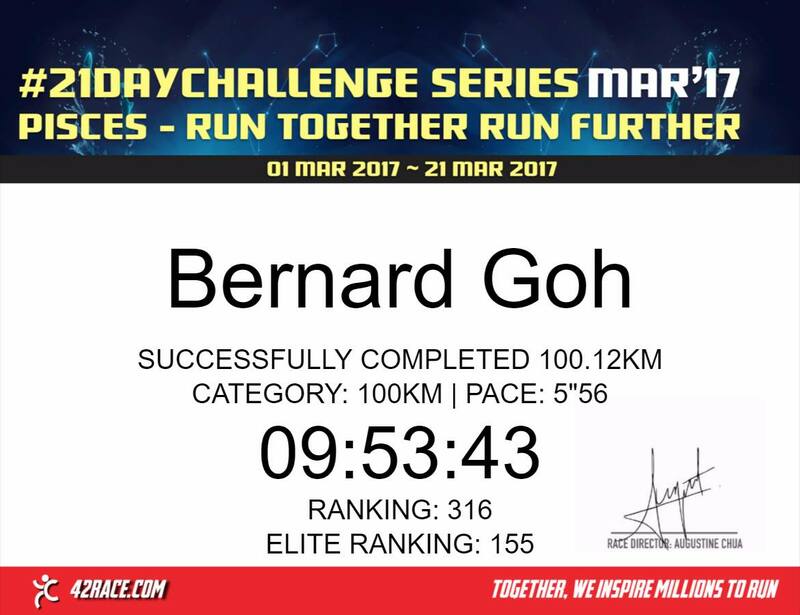 I have managed to do a sub 6 mins and sub 10 hrs for clocking the 100KM. So it is 3 down and 9 to go, hopefully I can get all the 12 medals!! 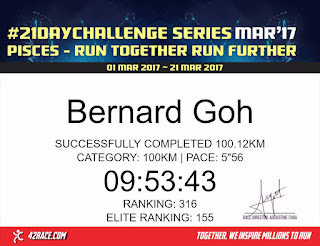 Bernard Goh. Awesome Inc. theme. Powered by Blogger.